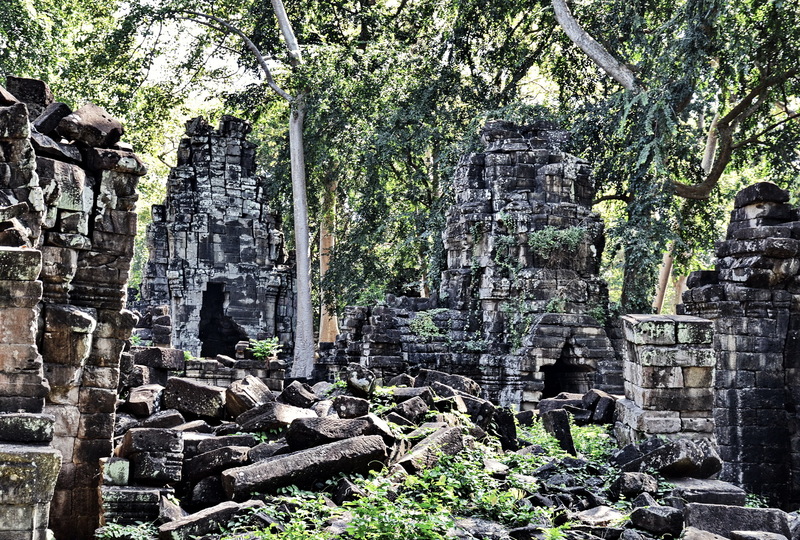 The vast, ruined temple complex of Banteay Chhmar is well off the regular beaten Angkor path and although only 3 to 4 hours’ drive from Siem Reap sees very few visitors. 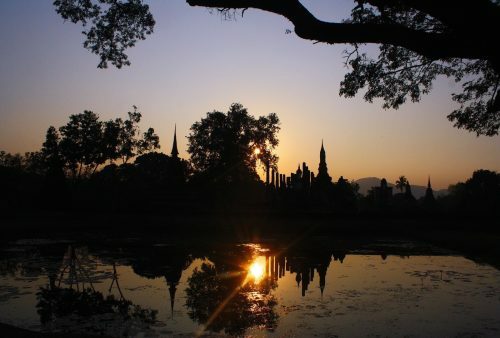 The somewhat remote location – close to the Thai border in the far northwest of the kingdom – does mean that the elaborate 12th-century site had been, until very recently, left to the jungle and sadly looters. 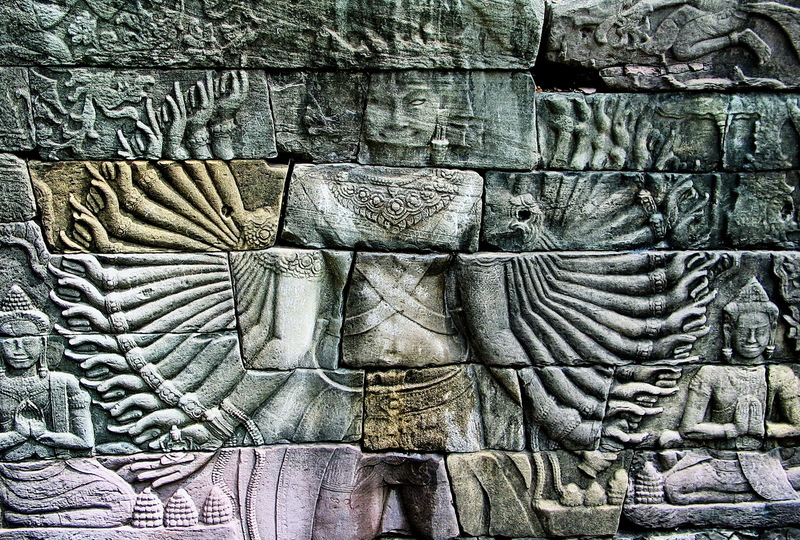 On a happier note the ruins have now been cleared enough (and of course de-mined) to allow visits and the temple still displays plenty of spectacular carvings and reliefs. 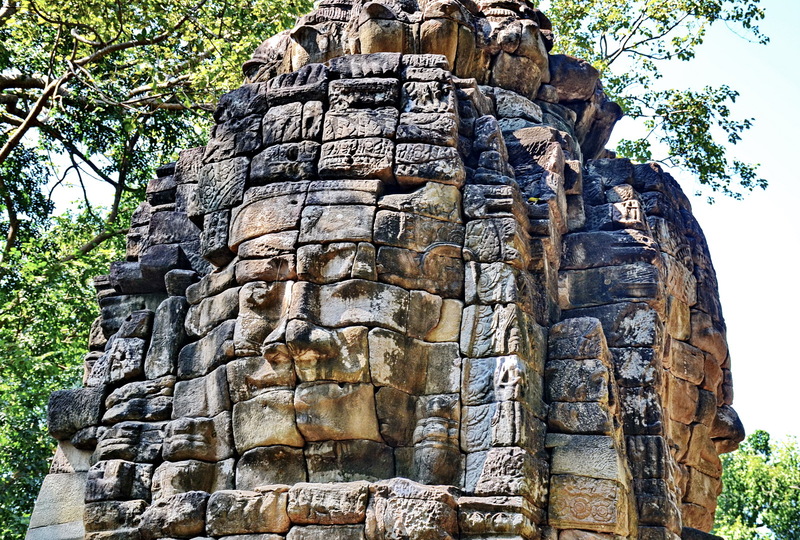 The sprawling temple is considered to have been constructed during the reign of Jayavarman VII and displays his signature architectural feature – the towers with their enigmatic carved faces. 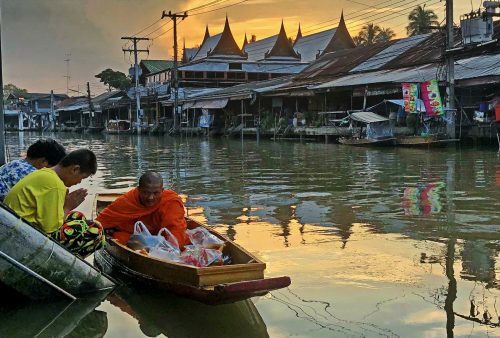 Aside from the main temple with its nearly 2-kilometre exterior wall and moat the site also includes several satellite temples – some also showing the famous faces – and a large ‘baray’ or reservoir. The massive site takes some time to explore and can involve a certain amount of scrambling so, inckuding the return journey and a stop or two en-route, we’d allow a full day but certainly an exceptional day at that. You’ll have one of the largest Angkor temples pretty much to yourself with no coaches, souvenir sellers, ‘walk this way’ signs or selfie sticks! 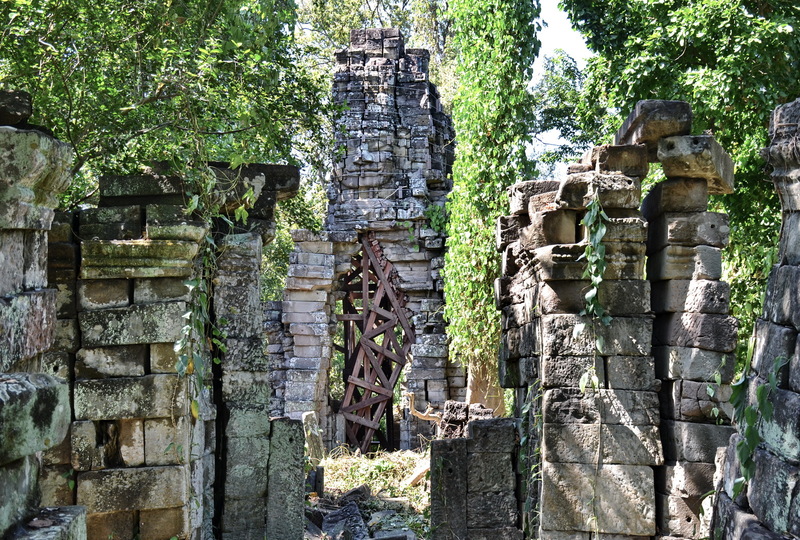 While you won’t find Banteay Chhmar on our regular Angkor tour itinerary – we usually concentrate on the temple sites closer to Siem Reap- it is easily fitted in with a bit of tweaking if participants are up for it and would definitely add a unique experience to any Cambodia tour. No need to book in advance – just have a word with your tour leader. 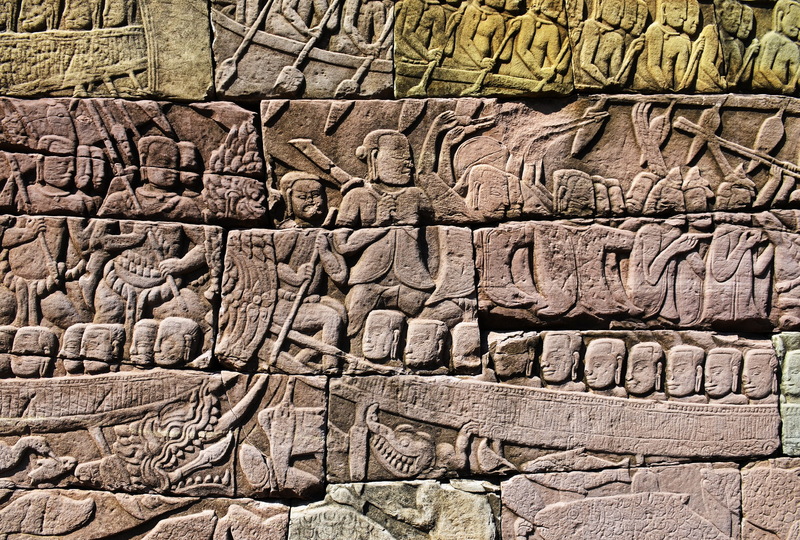 (Note that while one of the spectacular Lokesvara wall friezes is usually on display at Phom Penh’s National Museum (another is still in situ) it is currently on loan to Cleveland Museum thus providing you with the choice of Banteay Chhmar or Ohio.